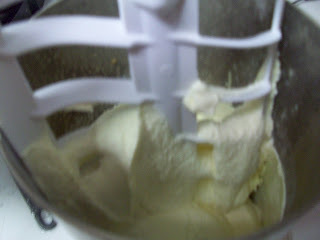 I was overdue to make some home made ice cream. The overall best recipe for vanilla ice cream is found here. 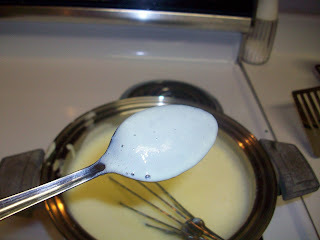 One of the elements of making this recipe is is to make the custard out of the milk, sugar, and eggs. It needs to be thick enough to coat the back of the spoon. So I took a picture of what it looks like. So to make the ice cream involved 8 egg yolks, with left me with 8 (actually 7, I messed up separating one of the egg yolks) egg whites. So whenever I have eggs whites, I make coconut macaroons! That looks so good... I am favoriting this to try both of those recipes out! Can't wait, yum! 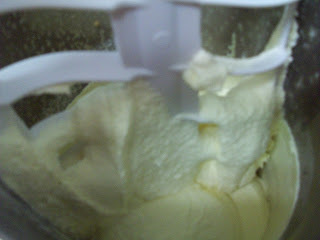 I haven't made homemade ice cream in years! I just might have to dig out my ice cream maker. I think I just never found a very good recipe. Thanks for sharing! 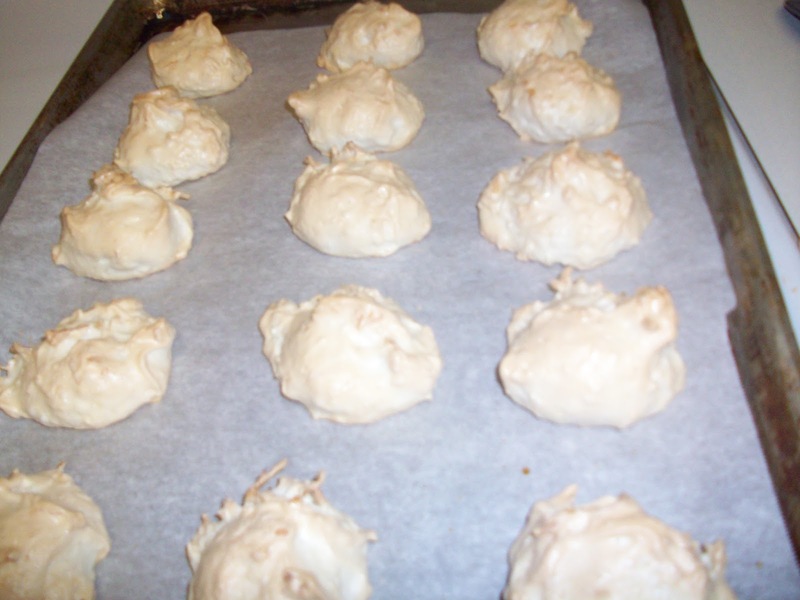 Congratulations on making ice cream and macaroons. :-) We LOVE homemade ice cream at our house too. Both the ice cream and the macaroons look delicious! Thanks for sharing on Sweet Indulgences Sunday.